The Sharon Gun Club provides support for a number of shooting disciplines. 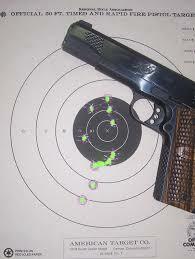 We encourage our members to learn and participate in different types of shooting. In addition to target shooting from the bench, Sharon Gun Club encourages members to consider training and certification in additional specialties. IPSC is an international discipline focused on a combination of time and accuracy. It is based on shooting pistols, rifles or shotguns in a very dynamic environment. Consult IPSC Ontario for more information. 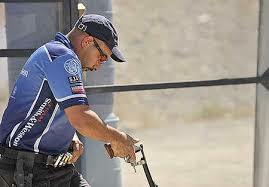 Qualified IPSC competitors may attend matches during the spring, summer and fall. Consult the Sharon web site for schedule information. 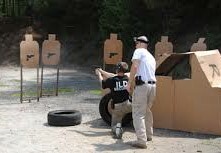 IDPA is another very dynamic sport. 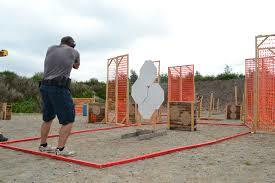 To be IDPA approved at Sharon, the competitor must have current IPSC Canada certification, or CSSA CDPA certification. Matches are posted on the Sharon web site. For more information about IDPA, consult IDPA Canada. ICORE was founded in 1991 by Mike and Sharon Higashi, long time active shooters in all the handgun sports. Envisioned as an alternative to the "arms race" that was occurring in the other action shooting sports at that time, a revolver-only competition would allow even the most basic equipment to be used and still provide enjoyment and satisfaction. ICORE combines elements of the Bianchi Cup, IPSC, and the Steel Challenge into demanding competition exclusively for revolvers. Consult icore.org for more information. 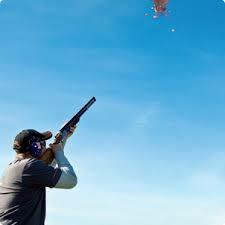 Trap is a sport where one uses a shotgun to shoot a flying, clay target called a "bird" or "pigeon". Trap has multiple variations but all revolve around the principle of 5 shooters breaking targets launched from a single trap machine, positioned ahead of them. The trap machine oscillates while throwing the target away from the shooters, making each shot slightly different. The line of shooters takes 5 shots from each of 5 stations positioned side-by-side, with station 1 shooting first and station 5 finishing. Only one shot is allowed at each clay, so single barrel guns are often employed. The Sharon Gun Club occasionally hosts a western shooting league based on the SASS rules. The competitor requires a single action revolver, a lever action rifle (in pistol caliber), and an approved shotgun such as a coach gun. 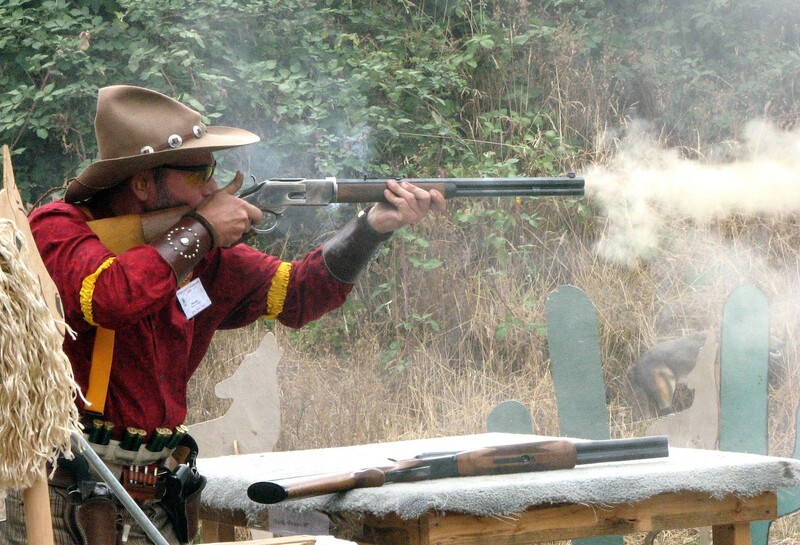 Each Saturday afternoon, the Sharon Gun Club hosts practical rifle, practical shotgun, safari, or western matches on Range 6. Any member with an appropriate firearm may attend the matches on Saturdays and shoot the match under the direct supervision of the RO. Sharon also hosts IPSC rifle matches. Bullseye target shooting is perhaps one of the oldest of all shooting sports and has evolved with many different formal sub-disciplines and categories. Typically in bullseye competition, participants shoot from a fixed position at stationary, round, paper targets attempting to hit the center of the target with slow, precise shots. The name of the sport comes from center of the target, known as the "bullseye". 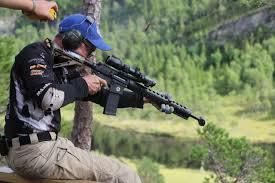 F-Class rifle is a relatively sub-discipline of bullseye target with its origins in Canada. F-Class is a precision long distance target shooting sport, in which competitors shoot at targets between 300 and 900 meters, with the object to place shots as close to the center, or “Bull” as possible. It is a sport that was started in Canada, by the late George “Farky” Farquharson, after whom the sport is named. 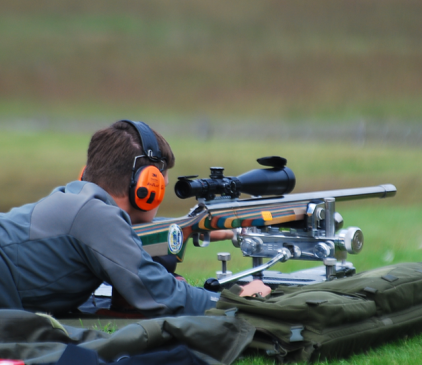 This sport involves using highly accurate single-shot centerfire rifles, high powered scopes and a means of steadying the rifle such as a bipod or pedestal rest. Participants shoot at paper bull’s eye targets at long distance, where the ability to read wind and other conditions determines success. For more information consult the International Confederation of Fullbore Rifle Associations or the Ontario Rifle Association.